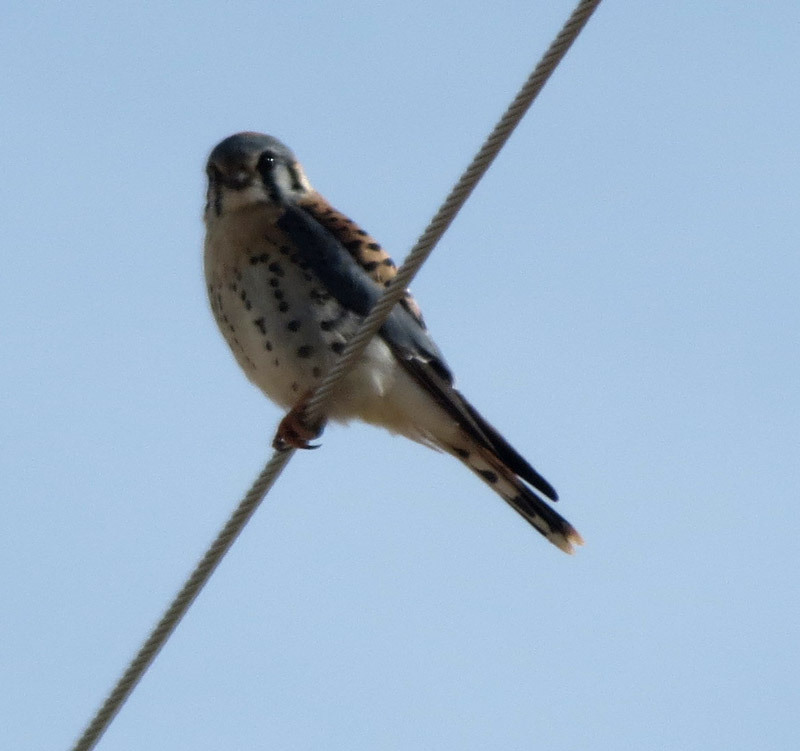 “American Kestrel on the wire,” I pointed to the friends in my car and pulled off on the shoulder along the Farm Market Road southeast of Socorro. As I opened the car door to share the ID with the other two cars, it flew from the wire into a tree. Two Red-tailed Hawks circled over the nearby field. 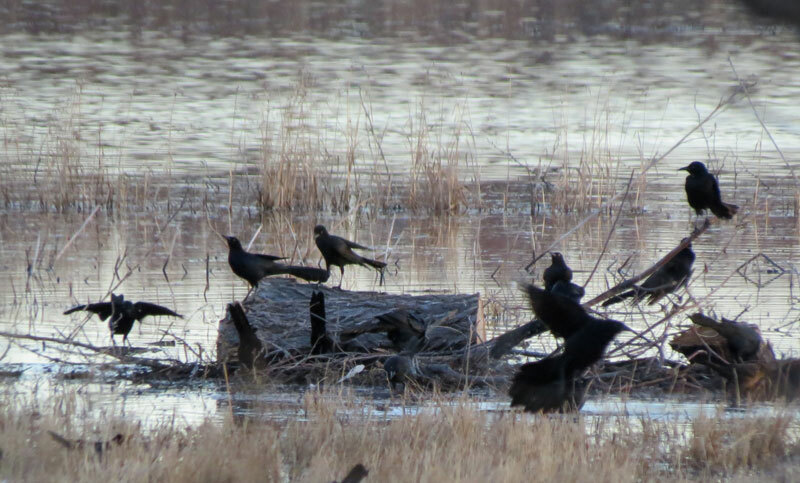 A little further on, a dark hawk flew by the car, flashing its grayish-white tail. 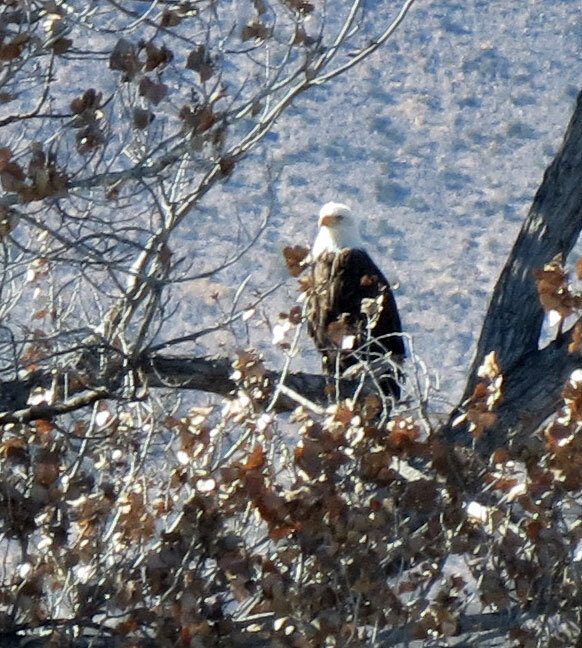 I pulled over again, hoping it had landed nearby so the others could see the Harlan’s race of Red-tailed Hawk; however, it had disappeared into the nearby bosque. We spotted at least six Red-tailed Hawks along this road. 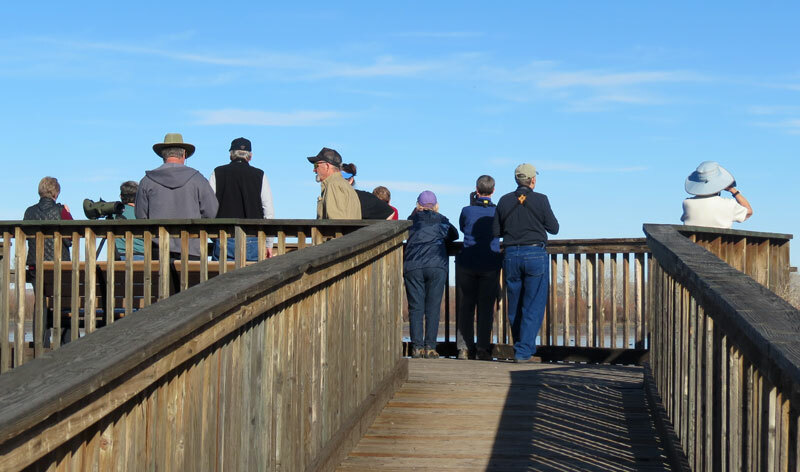 My friend Barbara Hussey and I were leading friends from Covenant Presbyterian Church to see the birds at and near the Bosque del Apache NWR. The farm fields in Luis Lopez provide an excellent opportunity to see species that favor the open farm habitat. 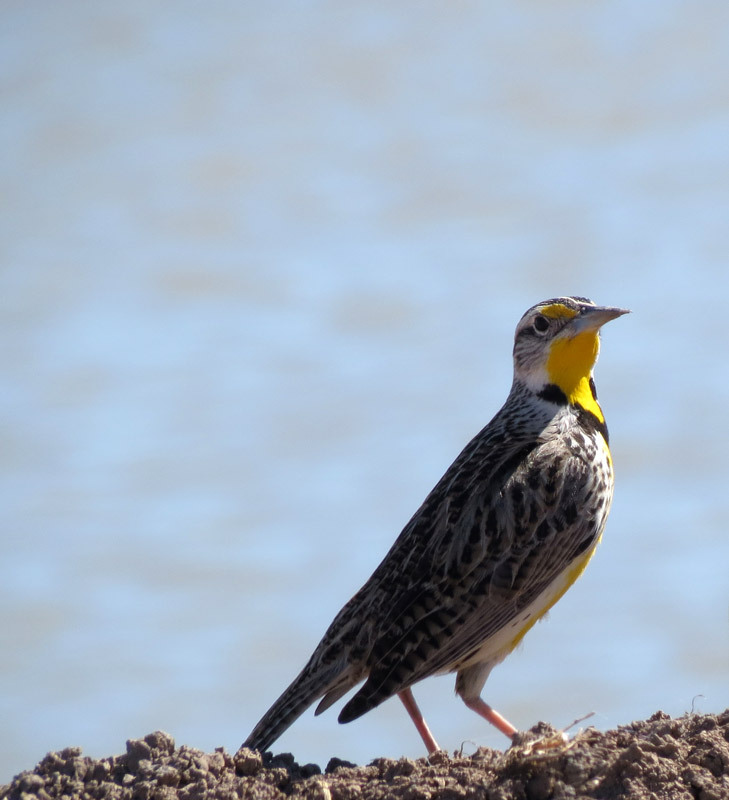 At another location, we flushed about 25 Western Meadowlarks from the fields along the road, the gurgling song of a few emanated from the grasses. I set up the scope so everyone could get a good view. It was hard to leave the eagles; however, it was way past lunch time, so we drove on to the Visitor Center. After lunch, the group enjoyed watching the birds outside the observation window, while Barb and I autographed copies of our book in the Nature Shop. Our next stop was along the center two-way road to see the swan. 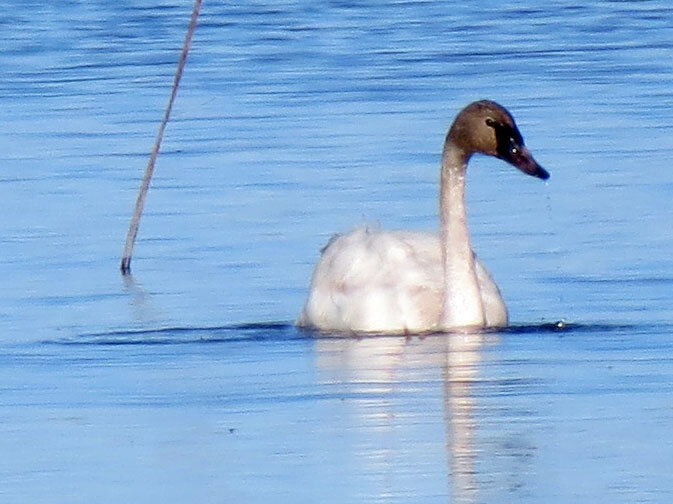 A Tundra Swan had been hanging out in one of the ponds since mid-November where it was a hit with the participants at the Festival of Cranes. When I was at the refuge the prior week, it was snoozing on the far side of the pond with its head tucked under its wing. Today we were treated to more of a close-up view. 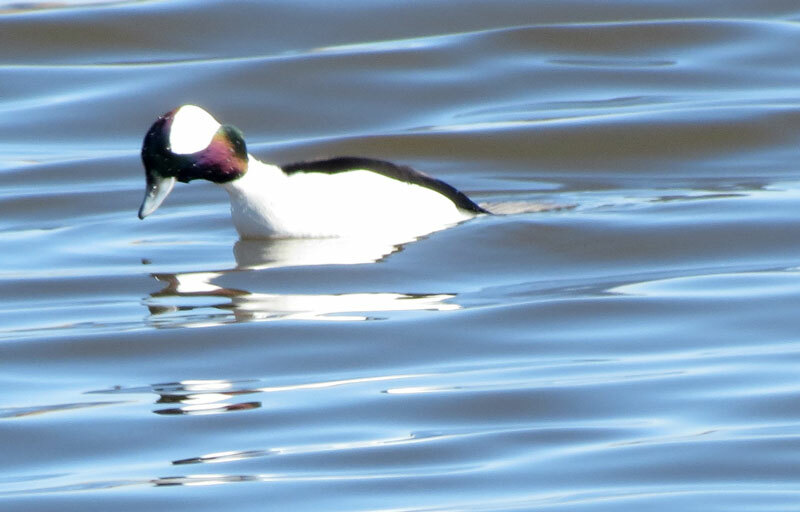 and a couple of Buffleheads. 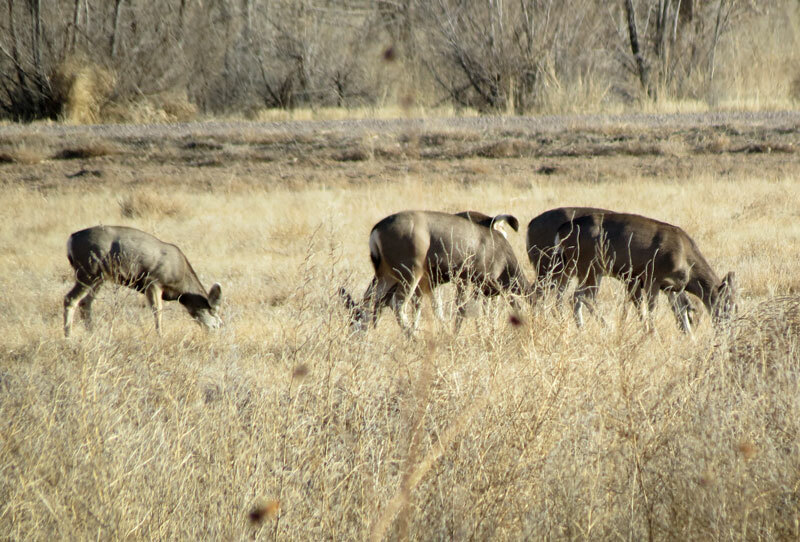 and a cluster of healthy-looking female Mule Deer. 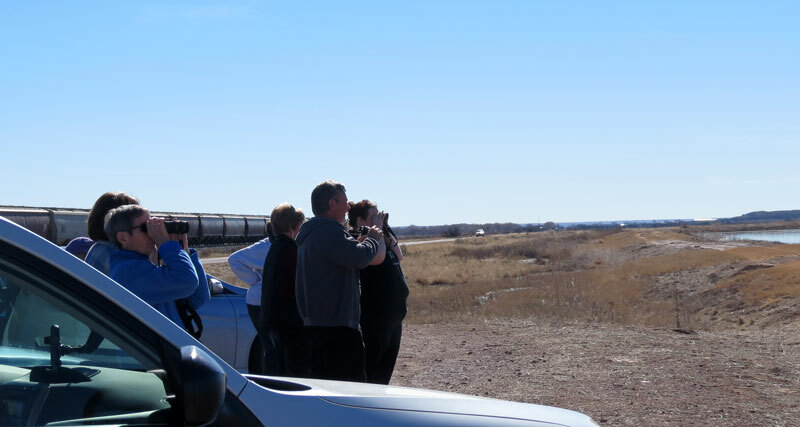 Heading onto the North Loop, we stopped to study a raptor that had attracted the attention of several vehicles – an immature Bald Eagle. Some of the fields along the north end, where we normally stop to watch the cranes and geese feed, had been plowed because the corn crop had been ruined. This has caused the cranes to have to fly much further each day to find fields where they can feed. 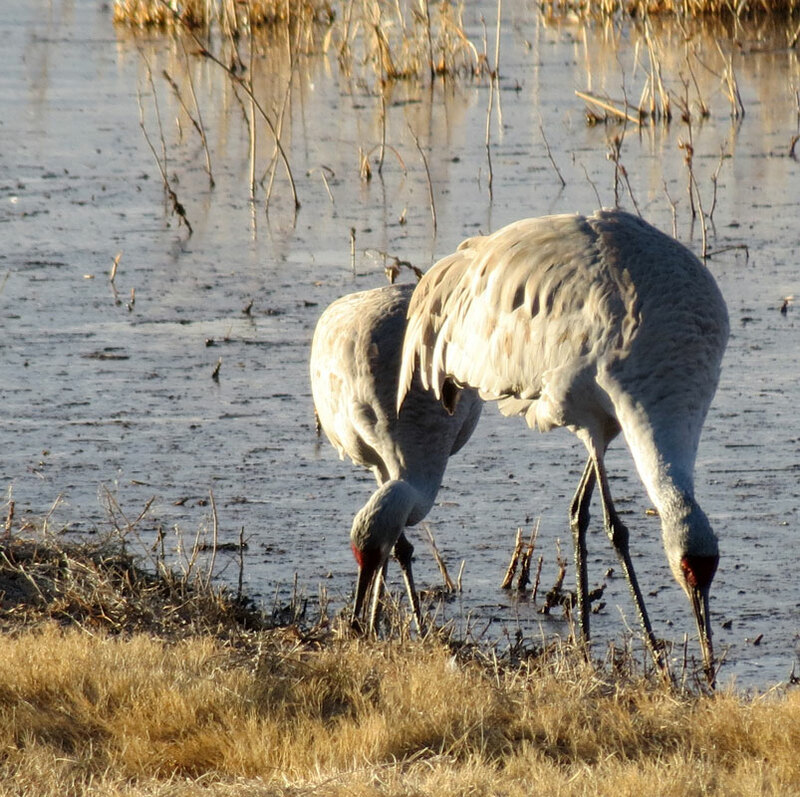 The crane and geese numbers are way down, since many have moved to other locations. Many of those that remain, are returning to the safety of the ponds much later than normal. 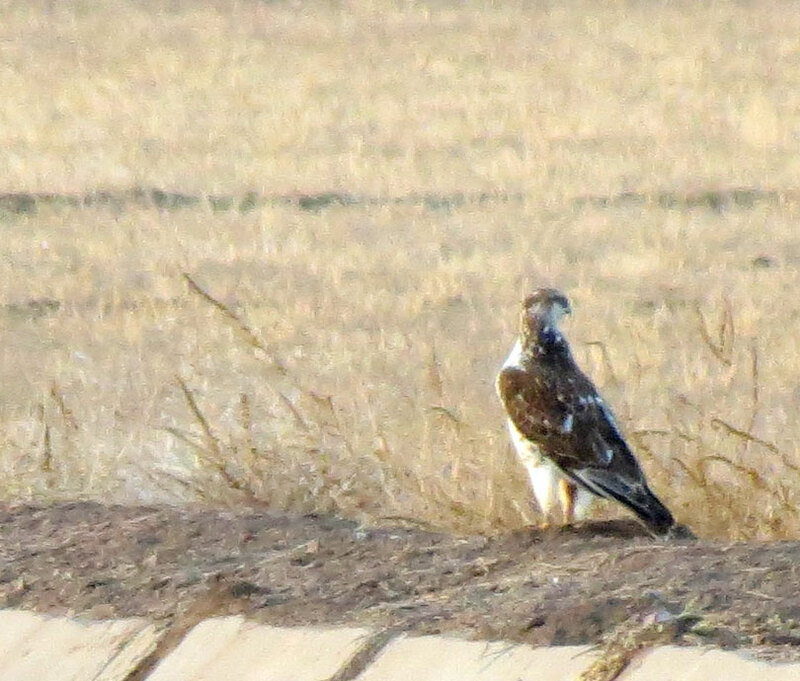 A Ferruginous Hawk was sitting along the edge of one of the fields. 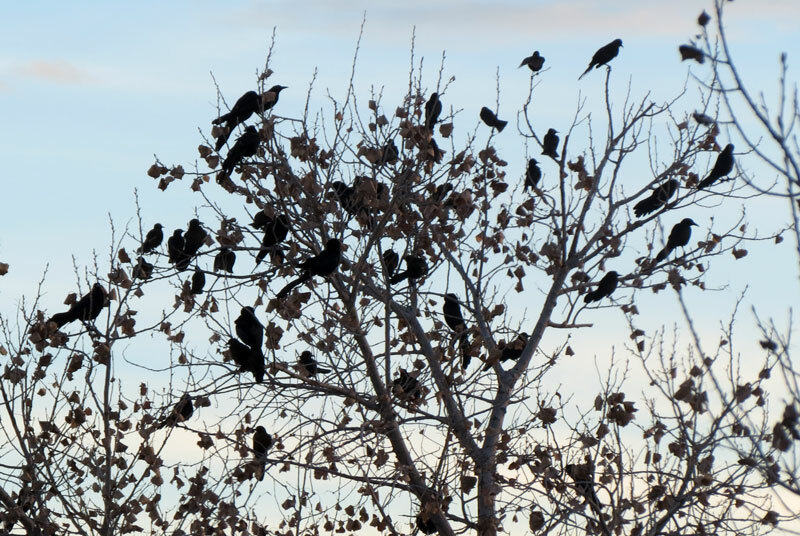 and then moving to bare trees to roost for the night. and the illuminated mountains to the east shone in contrast to the darkening landscape. 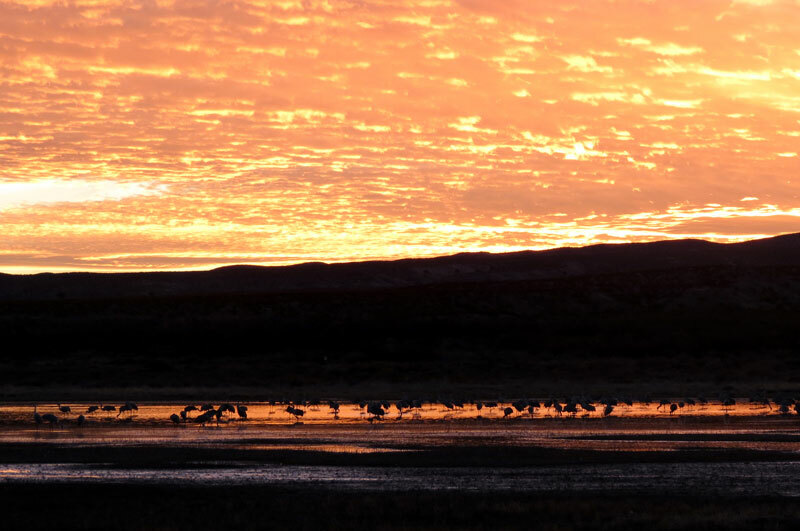 We were treated to an amazing sunset as we watched the cranes fly into the wetlands where we had watched the eagle earlier in the day. 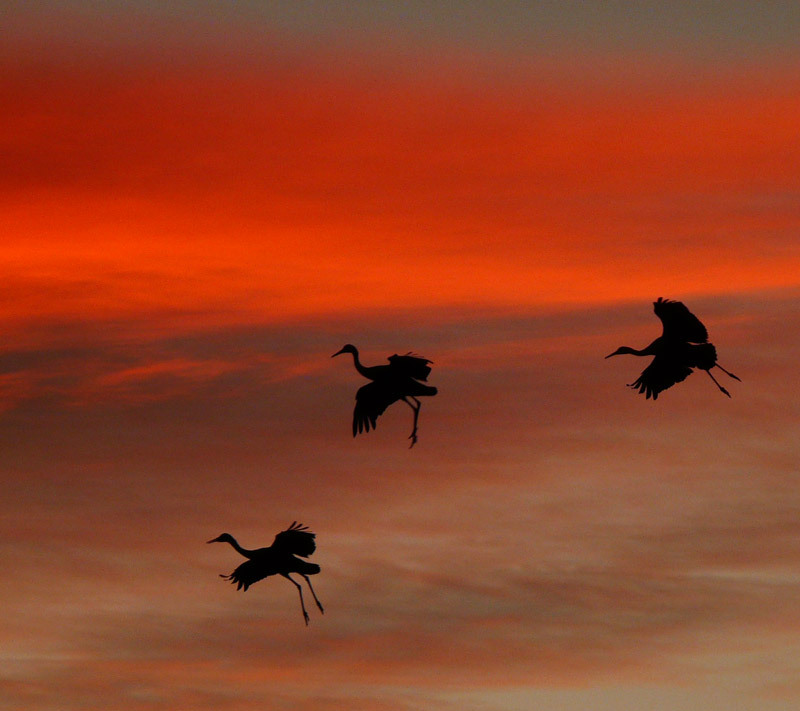 The colors intensified as we watched the cranes fly in and land in the pond. 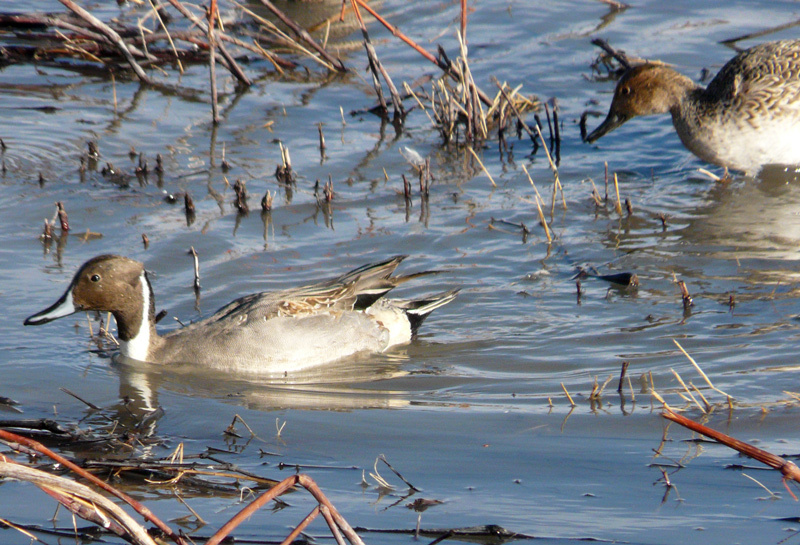 “I love to watch their feet come down – like landing gear,” someone commented. “Do you hear the occasional squeak?” I asked the group. “It is the sound of the juvenile birds. The adults make a bugling sound; their wind pipe coils like a trombone,” I explained. 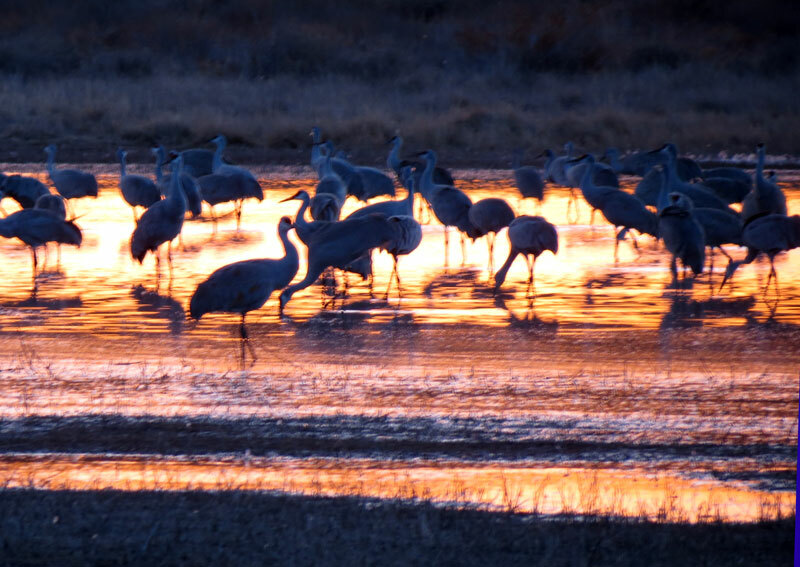 “This is truly magical,” Jan stated as we watched the final cranes arrive and settle in for the night. Thanks for sharing, the last photo is a keeper! 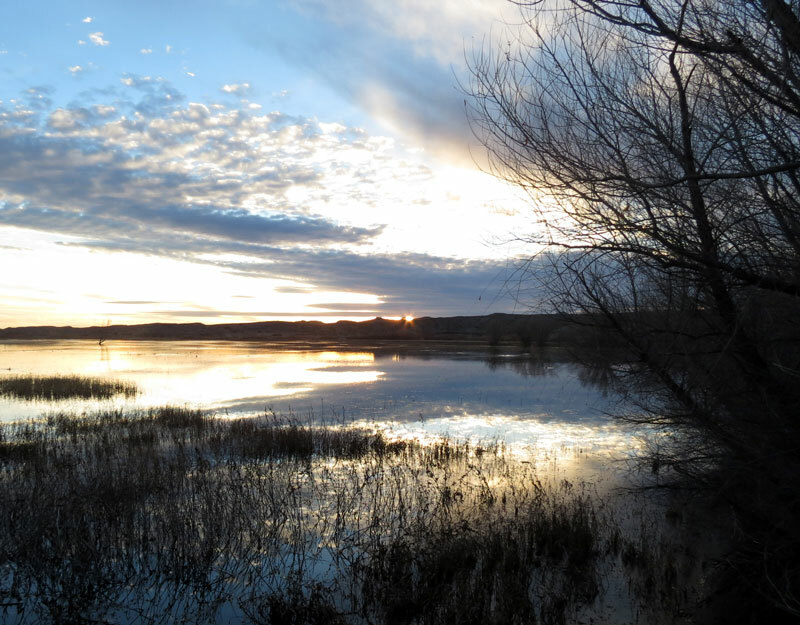 Nice writeup Judy, looks like an amazing sunset! 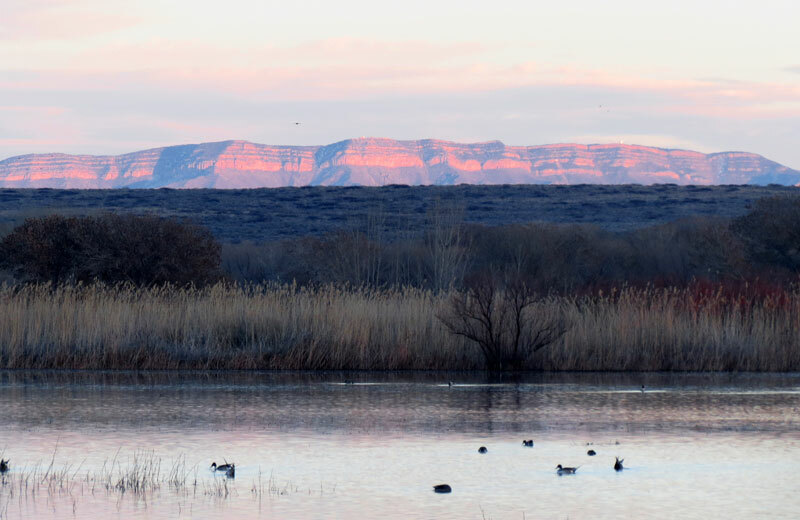 Great capture of those easterly mountains in the evening glow, that’s quite the spectacle.